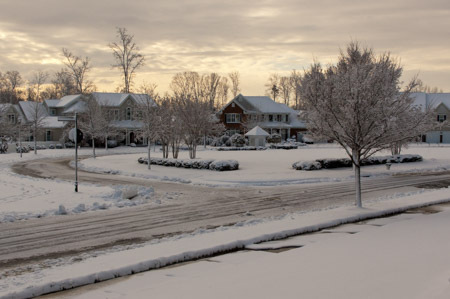 Kinderton Village is located in beautiful Davie County, North Carolina. The main entrance is on Yadkin Valley Rd., which is just off of NC Route 801, and is easily accessible from I-40. From I-40 West, take exit 180 and turn left onto NC Route 801. Cross back over the interstate and turn right at the stop light onto Yadkin Valley Rd. The Kinderton Village main entrance is approximately one-half mile on the right. From I-40 East, take exit 180B, stay in the right lane and turn right at the stop light onto Yadkin Valley Rd. The Kinderton Village main entrance is approximately one-half mile on the right. The Kinderton Village clubhouse is located just off of of North Forke Dr. in the Kinderton Village development. 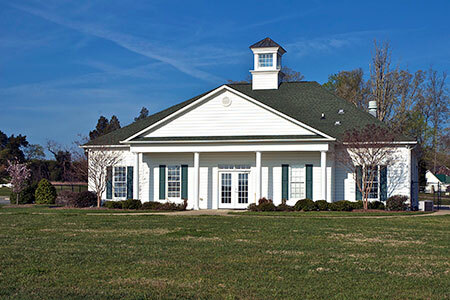 To reach the clubhouse, just enter the main entrance off of Yadkin Valley Rd., then take the first left onto North Forke Dr. Continue on North Forke Dr. and take the first left into the clubhouse grounds. The clubhouse is co-located with the Kinderton Village pool, and contains a 500 sq. ft. meeting area with an adjacent kitchen. In addition, there are rest room facilities in the clubhouse. Access to the clubhouse is controlled by key, and each home owner has been issued a key to the club house. The meeting area and kitchen are available for use by Kinderton Village residents by reservation, and will accommodate up to 40 people as designated by the local fire department. 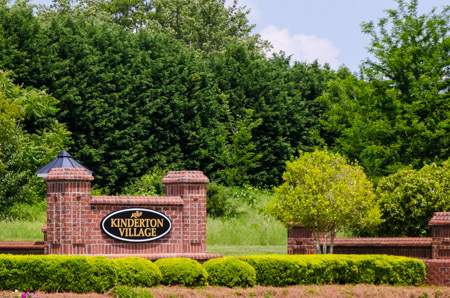 If you are a Kinderton Village resident, and wish to reserve the clubhouse, please log into this site and view the reservation process under the Documents section. 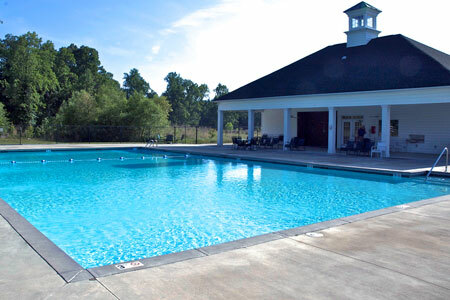 The Kinderton Village pool is one of the primary amenities available to Kinderton Village residents. All pool expenses, including residential usage, are contained within the monthly HOA dues. There are no additional charges to residents for pool usage. Access to the pool area is controlled by key card, and is restricted to Kinderton Village residents and their guests. All KV property owners have been issued key cards. Kinderton Village is a development of single family homes, carriage and town homes, quadra-plex homes, condominiums. paved streets, sidewalks, and large common areas. Mail is delivered to mailbox kiosks which are conveniently located in each common area. Each mailbox kiosk is lighted and serves approximately 30 - 40 residences. Maintenance costs for the kiosks and common areas are included in the monthly HOA dues.